It has turned into a household name. Been many player’s first online video slot. 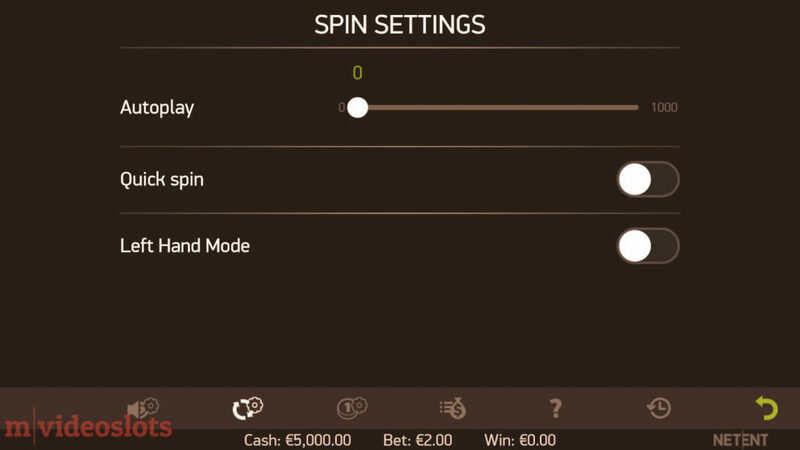 Attracted more no-deposit free spin deals than any other game. 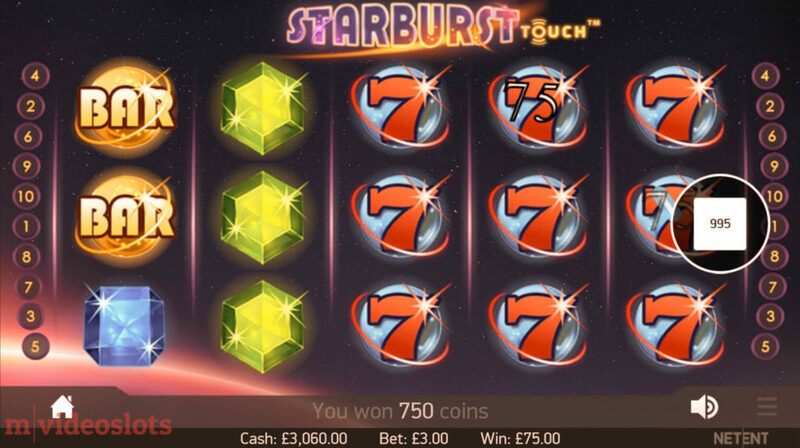 It’s the almighty Starburst slot with 5 reels, 10 lines and symbols that pay both ways. Here are the 3 key Starburst features and 2 warnings at a glance, with recommendations. Expanding Starburst Wilds on reels 2, 3 and 4. 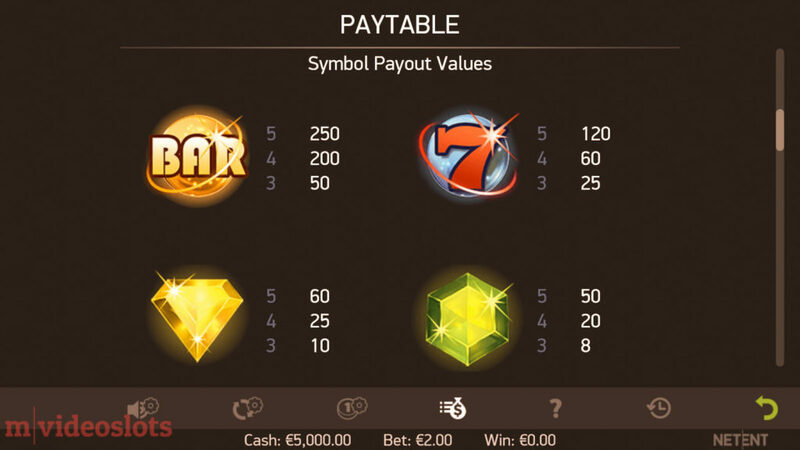 Firstly, there are 7 basic symbols in the Starburst mobile slot. Among the classic one-armed bandit icons like Bars and 7’s, there are five colourful gems. And the most you can win for any 5 of such on a line is 250 coins. Remember: The game pays in both directions, which explains why you can win only that little. But as usual, only the highest win per active payline from both ways is counted. Also note that you still pay for 10 lines and not 20. Now to the slot’s superstar symbol – Starburst Wild. It only appears on the three middle reels – reels 2, 3 and 4 – and each time you hit at least one of such, it’ll expand to cover the entire screen. What’s more, it can substitute for all symbols, partly because there are no Scatters in this game at all. Win up to 3 free re-spins with 3 wild reels. If you trigger a win as a result of the wild reel, you’ll get paid and a free re-spin as a bonus. If you then manage to trigger yet another Starburst Wild then you’ll get yet another re-spin. This time there will be two wild reels for even bigger wins. And as you can guess – this can happen for up to 3x, after which the game will “restart”. 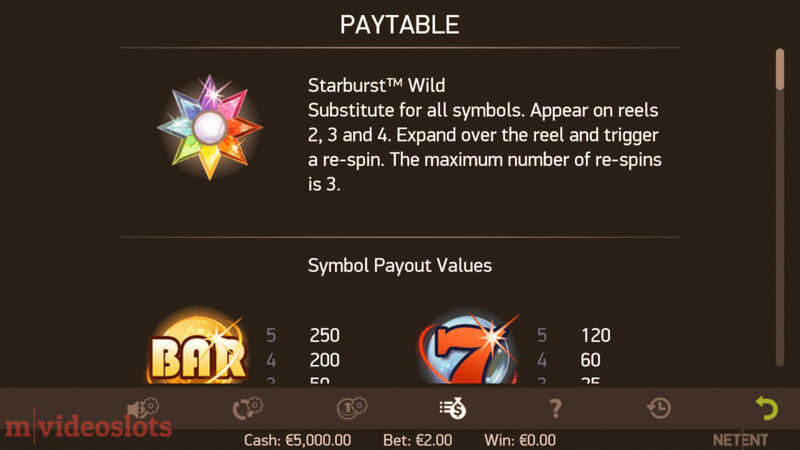 Theoretically, the Starburst Wild should appear on every 10th spin or so, which is often enough to get you closer to the jackpot. Starburst slot pays in both directions. The expanding Wilds, re-spins and both-way wins are the key to the “Super Mega Win!” celebrations. There are a couple of things to keep in mind though. 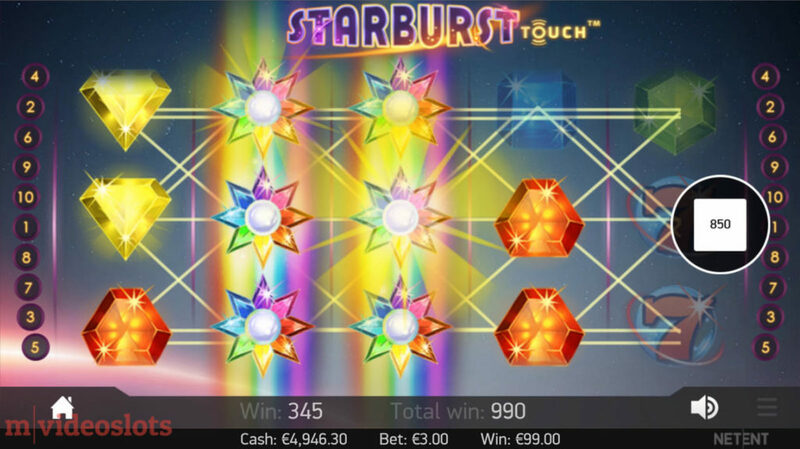 Starburst is among NetEnt’s riskiest games; at least when it comes to the long-term payout. Its hit frequency is only 22.7%, whereas medium volatility games start from around 30%. If that’s what you’re looking for then your best bet would be the 2016-launched Aloha Cluster Pays game, which you can play for free right here. 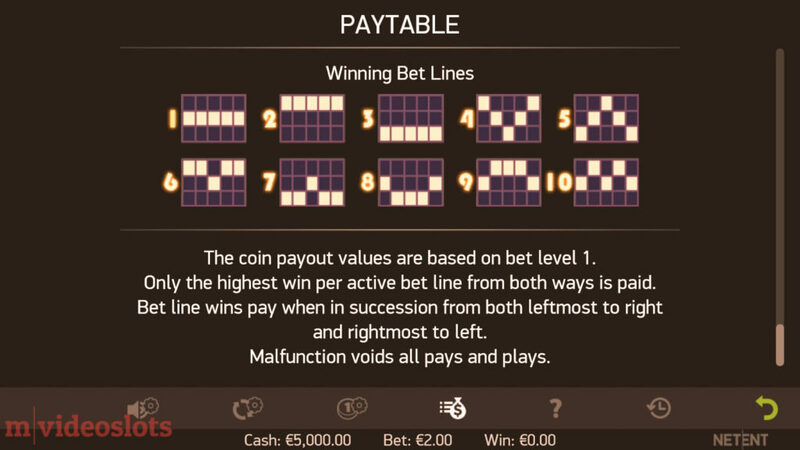 To mix it up with something less risky, have a go at the 30-line NRVNA with a 300,000-coin jackpot. 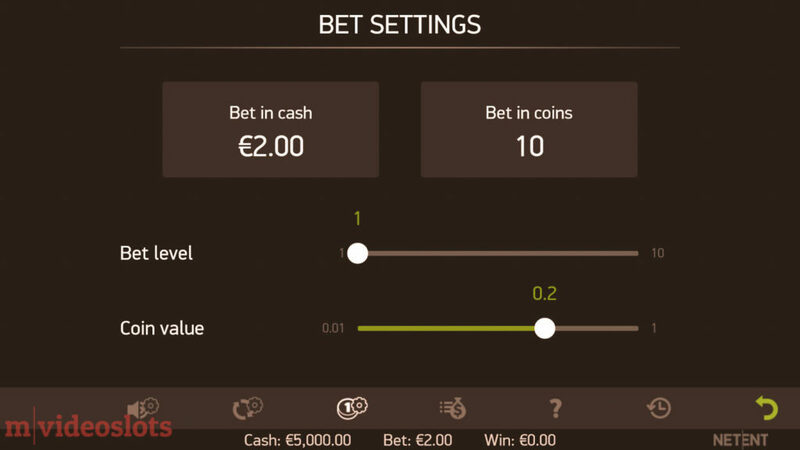 The case is – Staburst has one of the smallest jackpots in NetEnt’s portfolio. The most you can win is 5,000 coins per line or 50,000 coins in total (if you play at Level 1). In contrast, counterparts like Piggy Riches and Gonzo’s Quest pay up to 5,400,000 and 3,750,000 coins, respectively. Just keep these two things in mind when playing Starburst, although the short-term results can differ quite a lot (in a good sense as well). 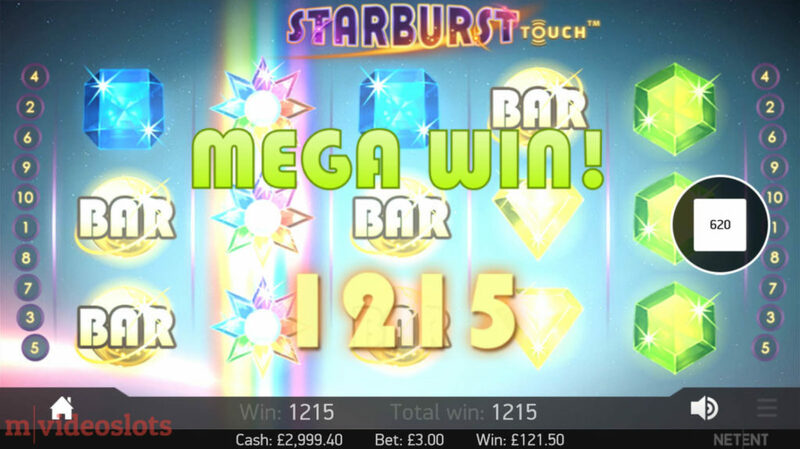 Click to play Starburst slot for free. Released in 2012, the game has stood the test of time. 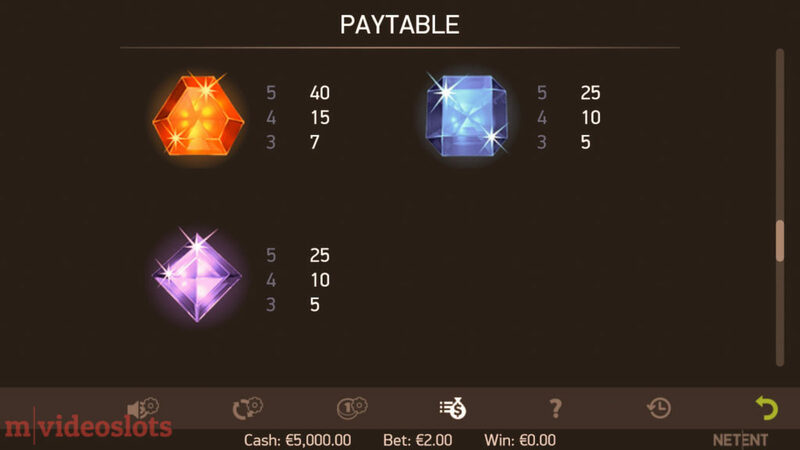 It has just 10 lines, which is good news for low rollers. And they pay in both directions, which allows to trigger multiple winning combos at the same time. Look for Starburst Wilds that appear only in the middle reels, can expand and trigger up to 3 re-spins for wins worth up to 50,000 coins. 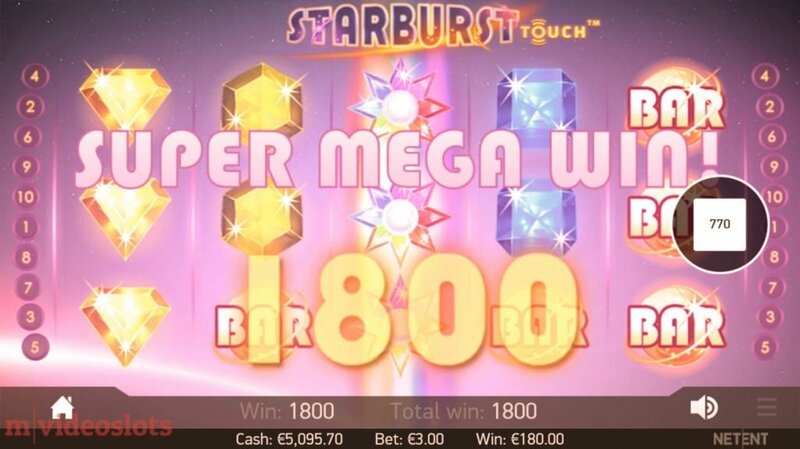 If that sounds good and you’re fine with the higher risk than usual, then play Starburst mobile slot at Casumo or Rizk, without fuss. For similar NetEnt slots, look and experience wise, see titles like Dazzle Me and Twin Spin (or its clone Fantasini: Master of Mystery). They also come with a much generous and fairer jackpot. P.S. To experience the future of gaming, play VR Starburst at SlotsMillion (no Virtual Reality headset needed). It’s pretty amazing to say the least. 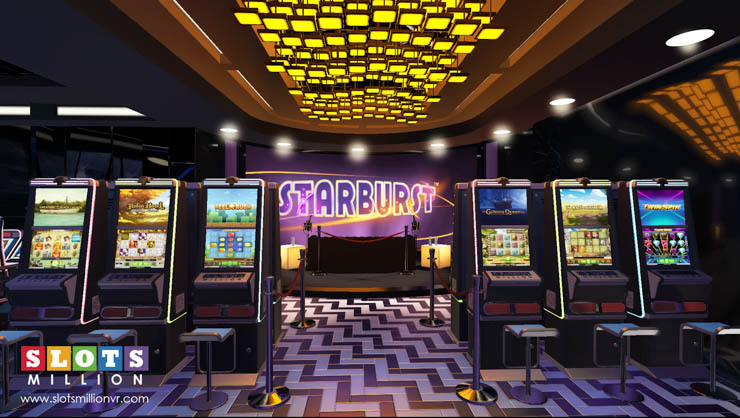 Starburst in Virtual Reality at SlotsMillion.